The lower drawing shows the original upper floor layout, with an un-functional north bedroom which also lacked a legal fire exit window. 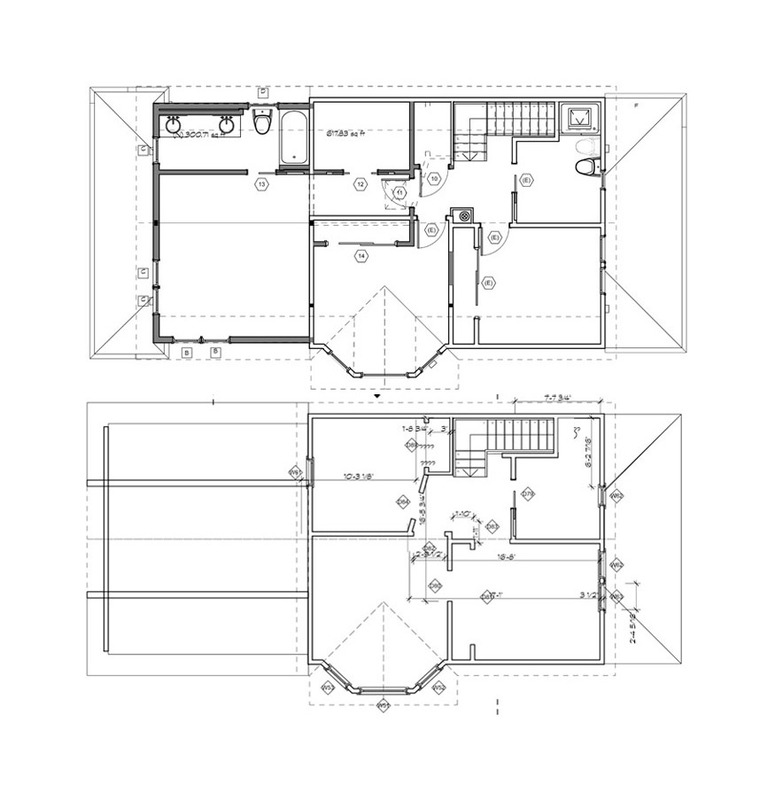 The upper drawing shows the master bedroom addition at what was an attic over the kitchen, a walk-in closet where the un-functional bedroom was, and a master bathroom with two bowl lavatory. Note how the remaining roof over the kitchen at the left mirrors the original front porch roof at the right, to help the addition look original.